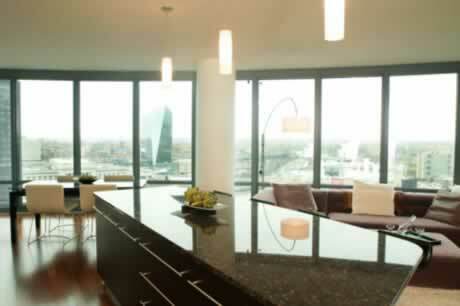 Wide glass windows overlooking your fair city are a great way to enjoy an awesome view. But what about the strength and soundproofing of those windows? When you're in a city environment, the slightest sounds are amplified by the buildings themselves and the narrow spaces in between. The result can be a cacophony of sound that is definitely not music to the ears! Soundproof windows can provide the cozy atmosphere you need to feel like you're at home, but without the charming sounds of squealing brakes and honking horns. Your soundproof windows can look just like normal windows, and can be just as energy-efficient, while costing about the same was the double-pane or triple-pane windows you might choose. Installation might be a bit more complicated, but as with any product that offers a special quality, professional installation is always your best bet to ensure you get the most for your dollar. Home > Windows > Window Types > Soundproof Windows > Peace and Quiet in the Big City? Soundproof Your Windows!